Disclaimer: The Effect Audio Cleopatra was sent to us in advance of retail release to allow us to complete this review. 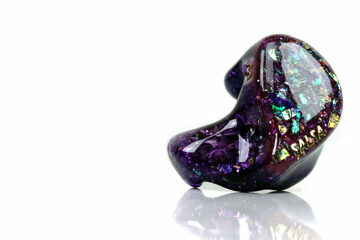 To read more about Effect Audio products reviewed on Headfonics click here. It is close to CanJam Singapore and most companies attending are being rather prolific in their product launch announcements. Not least Effect Audio who have had not 1 but 2 product launches in the last 3 months with the Leonidas 2 Octa flagship and now, the Cleopatra. The Cleopatra will make its debut at CanJam March 30th and 31st at the Pan Pacific Hotel in the heart of Singapore. If you are lucky enough to be going, drop by and ask to demo it and let us know what you think of it also in the comment section below. The Cleopatra is priced at $699 and is the third cable entry in Effect Audio’s Heritage Series alongside the Lionheart and Leonidas II. The positioning is ahead of Lionheart and one step behind the Leonidas II, so call it the mid-ranker if you will and the price fully reflects that position. For that are not aware, the Heritage Series is where Effect Audio engineer “on the edge’ so to speak. In short, they take a few risks, try something new and bring out a product that they think is genuinely unique as well as groundbreaking in the cable industry. Kind of their ‘blue sky’ thinking line-up. For cables that are designed with tried and tested methodologies, they have the Premium series which starts at around $149 for the Ares II all the way up to $999 for their gold-plated OCC silver wire Mars. 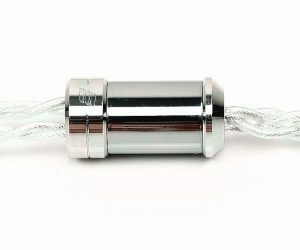 At heart, the Cleopatra is a 26AWG silver wire cable. 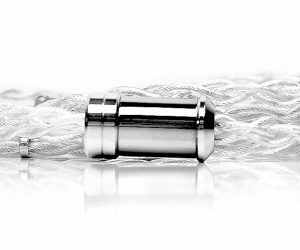 Traditionally, silver is seen as possibly the most conductive material to use in audio cables. However, the overriding whispers were that silver equals bright and copper equals warm. Both are not necessarily true. With the Thor line-up of cables, Effect Audio did much to dispel the concept that silver cables had to be bright in order to sound revealing or detailed. In fact, the Thor II UP-OCC Silver cable remains one of my favorite 4-wire cables for detail, punchiness, and a clean but smooth top-end. There is not a hint of overt brightness about it. However, what is unique about this version is the grade of UP-OCC Pure Silver being used is much higher and more complex than that used in the Premium Series Thor II. So much so, Effect Audio has introduced woven Kevlar materials into their geometry build to keep this grade of silver stabilized and working optimally. What is also unique about the Cleopatra is for the first time EA has merged the Premium Series multi-strand geometry foundations with the Heritage Series Leonidas II Golden Ratio principle in terms of how the layering of the wire strands is accomplished and how they interact with each other. So, what does that mean? The Cleopatra is a Litz build with a 7-core geometry. There are numerous advantages to working with Litz materials. The first is the ability to build a multi-stranded cable which has better high-frequency properties due to what is known as the “skin effect” where electrons travel along the skin of the wire. A Litz cable has a higher surface area than regular builds and for that reason should deliver a better high-frequency performance. 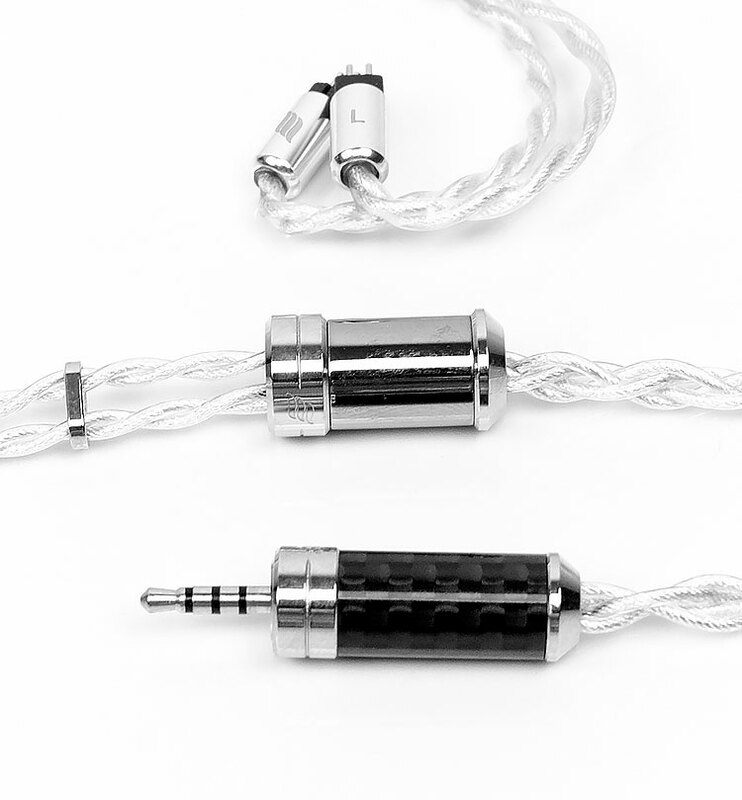 It will also be more durable than other cables when flexed and we flex our IEM cables a lot! Multi-sized allows Effect Audio to build a Litz cable with different sized wires, thinner ones for high frequencies and thicker ones for lower frequencies. The Cleopatra is also the 3rd cable in the EA range to feature individually enameled strands of wire in a woven Litz technique much like the Leonidas II. Much like the Leonidas II, the Cleopatra has the same level of complexity in its geometry with a 7-core bundled Litz type configuration. In theory, this will further decrease resistance and produce a much better high-frequency performance in combination with multi-stranding for the level of wire gauge used. The final aspect of Cleopatra’s synergy of previous build techniques is the use of the golden ration for the layering of the wires within the Litz build. The golden ratio is a mathematical formula used to create a unique layer of wiring strands that share no common resonant pattern. What this means is that a signal’s release timing is completely irregular on a wire per wire basis avoiding the potential for conflict with the other paired strands. The less chance of different strands sharing common resonance signatures then the lower the level of resonance detected and the higher the purity of the signal will be in the wire. Silver by material, silver by aesthetic. The Cleopatra strikes quite a different visual tone to the Leonidas II and improves on the original Lionheart/Thor II build at the same time. The look is all silver and chrome right down to the new and very low-profile silver-finished aluminum chin cinch. The silvery look is significantly enhanced with the use of EA’s very supple translucent UltraFlex PVC materials jacket. What I particularly love about this new jacket is just how low-profile the memory wire coating is now compared to the Lionheart and Thor II equivalents. 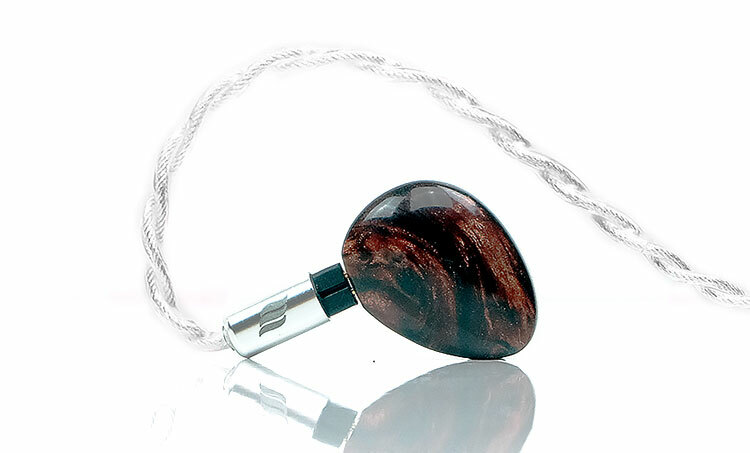 You can barely make it out in comparison which vastly improves the aesthetic without reducing any strain relief or stability around the ear. The Cleopatra also uses the same highly polished casted stainless-steel Y-Split barrel as the Leonidas II and certainly, it is a big step up on the Thor II and Lionheart carbon fiber barrels. It is much lighter and more refined in its finish than the latter but missing that Patina-style leather finish of the more expensive former. The Cleopatra thus has less of an organic feel to its visual tone than the Leonidas II but compared to the Lionheart and Thor II finish it looks more refined and much cleaner. The slimline 26AWG 4-wire build means that the Cleopatra is a beauty for weight, on-ear pressure and handling. Given it uses the same gauge, Y-Split barrel, and UltraFlex PVC jacket as the Leonidas II you can expect almost the exact same handling properties. Ranged against the Lionheart and Thor II, the Cleopatra is the lighter of the three cables primarily down to the improved barrel builds on the Y-Split and jack. You will find no annoying ‘bounce or flyaway’ effect with the Cleopatra handling. Nor will you find any microphonics or physical noise on the wire when you run your finger up it, particularly so below the Y-Split. If you can tangle this cable you are a more determined man than me because as far as I can see the Cleopatra is 100% tangle-free. As with all Heritage Series Cables, the Cleopatra comes terminated with a PSquared TRS or TRRS jack, in this case, a 2.5mm option. The PSquared 2.5mm termination was developed in cooperation with Japanese specialty cable manufacturers, Oyaide Electric. Co., Ltd. 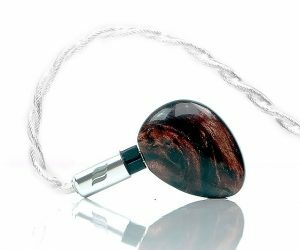 The PSquared jack is considered an upgrade on their rhodium plated plugs because of their use of a more exotic blend of palladium and platinum materials. The contention is that this mix will sound better than the standard EA Rhodium plug. In our initial testing in 2017 with and without the PSquared plug on two Lionheart cables we found PSquared to be the more dynamic sounding of the two finishes. 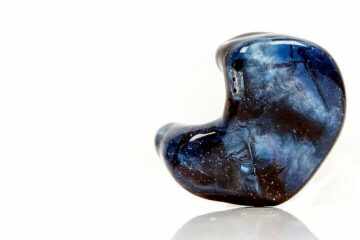 This particular Cleopatra is finished with a 2.5mm balanced fitting which is my preferred termination. During your ordering process, you can also opt for different terminations depending on your preferences. Effect Audio supply both 3.5mm (green rings) and P-EA 4.4mm options. An excellent level of comfort on-ear using the Cleopatra. Since I previously stated that the Leonidas II was EA’s more comfortable 4-wire build to date that I have tested, this experience is easily on par given the similarity in build and weight between the two. People with glasses or those who do not enjoy the pressure from heavier 8-wire designs should find the Cleopatra a very comfortable cable to work with. Unfortunately, our sample arrived in advance of the official retail launch of the Cleopatra and did not come with the retail packaging and accessories. What we can tell you at this stage from our spec sheet and discussions is that the Cleopatra will come in a “Premium Metallic Selects” Case. This is an individually handcrafted aluminum square case with rounded cornering and a push-pull lid mechanism. It will also have a form of soft internal lining to dampen from knocks and drops. The case looks fairly deep to hold both monitors and cable and from my brief glimpse is actually very impressive and matches the Cleopatra beautifully. I hope to provide more pics from the CanJam launch official and update the review a bit more after.